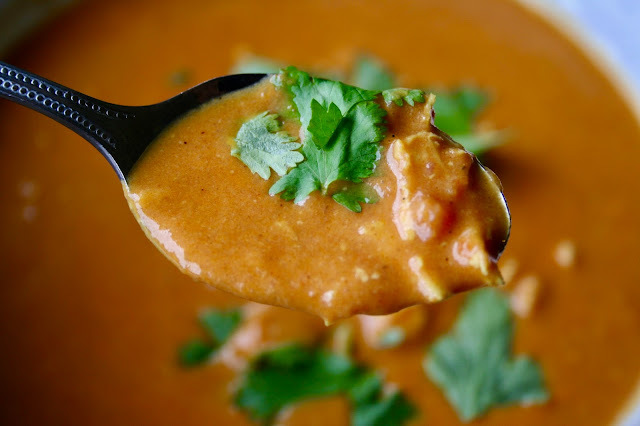 I'm all about Chicken Tikka Masala so when I came across this soup I couldn't resist! Taking all the delicious flavors of Tikka Masala and turning them into soup is pure genius. And let me tell you, this soup is INCREDIBLE. The flavor is unlike anything you've ever had and the texture is perfect. I seriously dream about this soup. And even though it may sound a little odd, I loved the added crunch and taste of crushed tortilla chips on top. I mean, when is it wrong to eat tortilla chips?? I promise this will become a new family favorite and will become a new winter tradition. 1. Heat olive oil over medium-high heat in a heavy soup pot. Sauté the onion for about 5 minutes then add garlic for 3 more minutes. Add cayenne pepper, garam masala, ginger, cumin, turmeric and cinnamon. Sauté for 3 minutes longer until spices are fragrant. 2. Add chicken broth, tomatoes and coconut cream to the pot. Simmer for 30 minutes. 3. 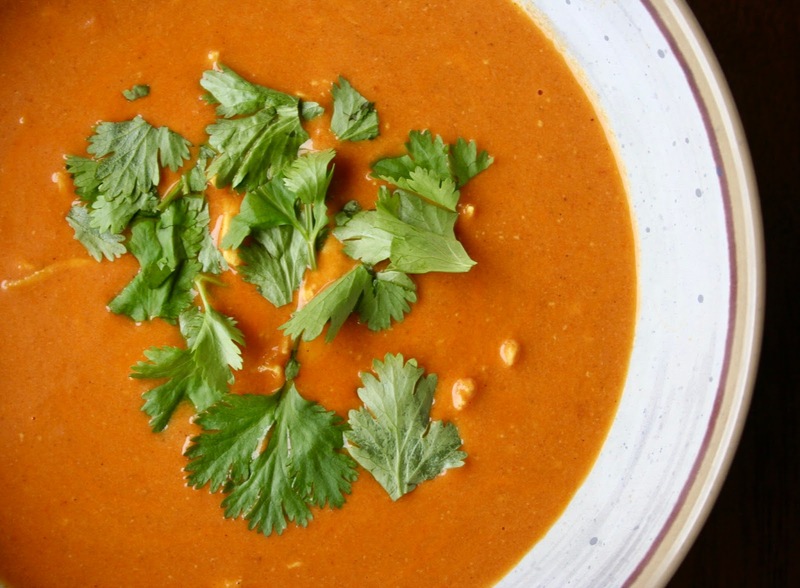 Using an immersion blender, or stand blender, purée soup until smooth and creamy. Season with salt and add shredded chicken. 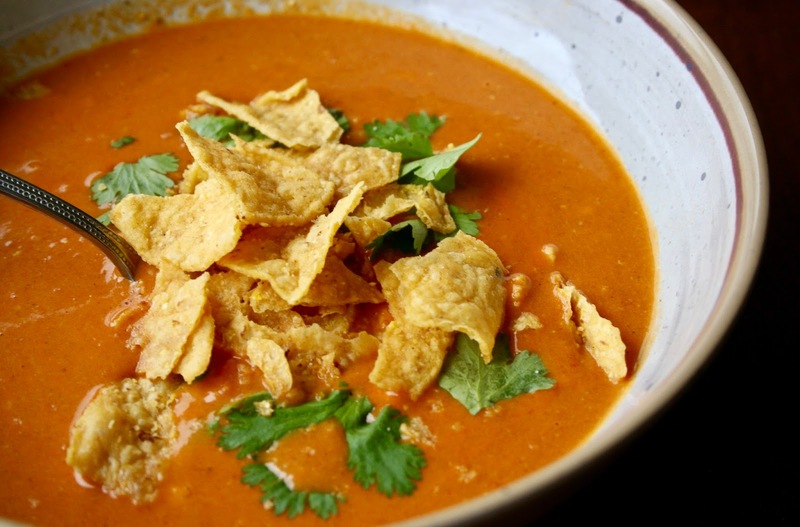 Serve with cilantro and tortilla chips if desired. *You can find coconut cream at Trader Joe's or in the cocktail mixers section at most grocery stores.